When a Muslim is in the last stages of his or her life, those present should read Surah Yaseen, Surah Ra’ad and the Kalimah Shahaadah in order to ease the pangs of death for the person. We must also urge, and not force, the person to read the Kalimah. When the person has passed away, the family members should immediately organize Ghusal and Burial affairs. (Ask your Imam/teacher to explain or demonstrate to you how the Ghusal of a Mayyit is performed). Salaatul Janazah is actually a Du’a that is made on behalf of the dead person. Salaatul Janazah is Fard upon all Muslims who have knowledge of the Janazah or funeral. While the Imaam reads out the Takbeer aloud, we should repeat them silently. 1. To stand and perform Salaah (Qiyaam). 2. To read all the 4 Takbeers. Note: If one does not know what Du’as to read after each Takbeer, one can still join the Janazah Salaah and read the Takbeers softly. 1. The body of the Mayyit should be placed with its right side facing the Qiblah. 2. The Imaam should stand in line with the chest of the Mayyit when leading the Salaah. This also means that the head of the Mayyit will be to the right of the Imaam. 3. It is also Mustahab to make an odd number of Sufoof (Safs) or rows. However ,if there are a large number of people, then there is no need to follow this rule. 4. After the Safs are straight, everyone should make the Niyyah. 5. After the first Takbeer, everyone should read the Thana. 6. After the second Takbeer, you should read the Durood-e- Ebrahim which is: The same as read in Salaah. 8. After the fourth Takbeer, the Imaam will read the Salaam. 9. You should not raise your hands after each Takbeer but repeat the Takbeers silently. 10. After the Salaatul Janazah, it is recommended that you make a Du’a for the Mayyit. It is permissable for a person to make Tayyamum if he fears that he will miss the Janazah Salaah. This rule only applies for Janazah and Eid Salaah. If a person is late and joins the congregation after the Imaam has already read a few Takbeers, then he should join the Imaam for the next Takbeer. After the Salaah, he can read the Takbeers he missed by merely saying “Allahu Akbar” softly for every Takbeer he missed. He is not permitted to read any Du’a after the Takbeers. It is a well-known reality that everyone has to taste death. Allah Ta’ala says in the Holy Quran: “Every soul shall have the taste of death”. (3:185) The time of death is fixed for everyone. Every single person’s age is fixed. It cannot increase from its fixed time nor can it decrease. Nothing can save one from death. Wherever you are, death will find you out, even if you are in towers built up high. When the time of death comes, nothing can delay it. When a person?s life is ending, Sayyiduna Izraeel (alaihis salaam) comes to extract the dying person’s soul. The person dying looks to his left and right and sees Angels everywhere. The Angels of Mercy come to a Muslim and for the Kaafirs, the Angels of Punishment appear. At this time, even the Kaafirs believe the truth about Islam, but their faith at this time is not counted. This is because faith is the name of believing the Message of Allah Ta’ala and his beloved Messenger (sallal laahu alaihi wasallam) without seeing proof. At this time one sees the Angels and then believes and this is therefore, not accepted as a Muslim. A Muslim’s soul is taken out with ease and is then taken with respect by the Angels of Mercy. A Kaafir’s soul is taken out with great pain and the Angels of Punishment take it with disgrace. After death, the soul does not go into another body and is then reborn, but it stays in the world of “Barzakh” till the Day of Judgement. “Barzakh” means the interval between death and resurrection. To believe in reincarnation – that the soul goes into another human body, or into an animal’s body, or into trees or plants, etc. is wrong and is Kufr. In any situation, the soul does not die nor does it disintegrate but it remains unchanged. Whatever it’s position and whatever it’s state is, it always remains connected to the body. Those who believe that the soul can die and disintegrate are a “Bud Mazhab” (from a deviated sect). If the body experiences pain, the soul also feels the pain. If the body is relaxed, then the soul is also relaxed. When someone visits the grave, the soul sees the person, recognises him or her and listens to what they are saying. In relation to the Muslim’s soul, it is stated in the Hadith Shareef that when a Muslim dies, the soul?s path is opened and it can go wherever it pleases. The dead also speaks. Animals, etc. except for normal humans and Jinn hear its voice. Death is when the soul comes out of the body. According to the faith and deeds performed by that person, a different place is fixed for the soul to remain. It stays in that place until the Day of Resurrection. Some stay underneath the “Arsh” (above the skies), some remain at “Aala Illiyyeen” (the highest point), some remain at the well of Zam Zam, and some remain in their grave. The souls of infidels are imprisoned. 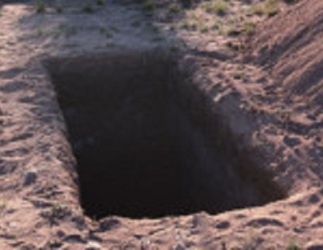 Some are imprisoned in the well of “Barhoot”, some in “Sajeen” (the lowest point in Earth), and some at their place of cremation or burial.Death is when the soul comes out of the body. According to the faith and deeds performed by that person, a different place is fixed for the soul to remain. It stays in that place until the Day of Resurrection. Some stay underneath the “Arsh” (above the skies), some remain at “Aala Illiyyeen” (the highest point), some remain at the well of Zam Zam, and some remain in their grave. The souls of infidels are imprisoned. Some are imprisoned in the well of “Barhoot”, some in “Sajeen” (the lowest point in Earth), and some at their place of cremation or burial. After burial, the grave tightens up and presses the dead. It presses the Muslim like a mother holds a child. It presses the Kaafir (infidel) to the extent of crushing them, like the left side bones end up on the right side. When the people leave after burial, the dead hears the footsteps. At that time, two Angels called Munkar and Nakeer come ripping through the earth. Their faces look very fearful and scary. Their bodies are black in colour. They have green and black eyes, which are very large in size popping out, like the Jinn’s eyes and they are made of fire. Their hair is very scary and long from head to toe. Their teeth are very long with which they rip through the earth. They wake up the dead shaking and rattling them. Now, a Voice from the skies will be heard saying: “My servant has said the truth. Lay the tablecloth of Paradise for him. 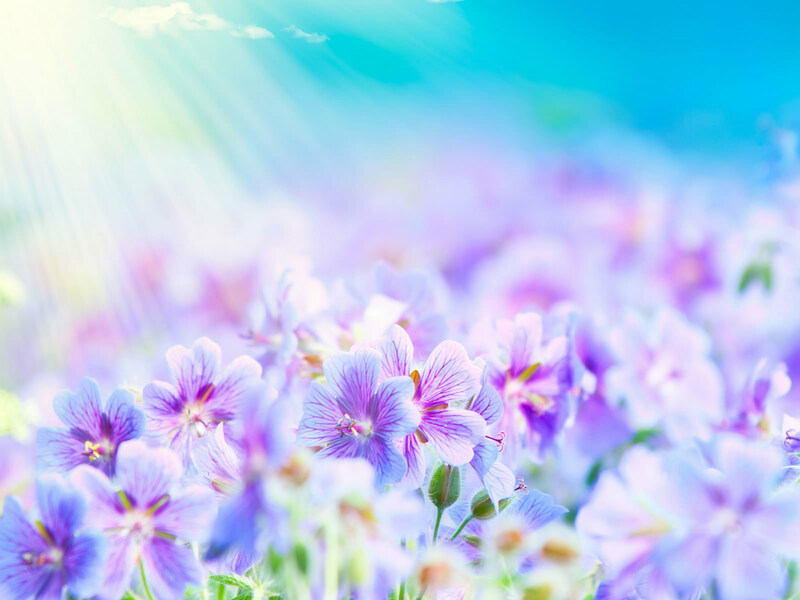 Give him clothes from Paradise to wear and open the doors of Paradise (Jannat) for him.” The cool air and the sweet fragrance of Jannat will continue to come and wherever the eyesight can reach, the grave will be made wide and large. Angels will say: “Sleep like a groom sleeps”. All this will be for the good pious Muslims. For the sinful, there will be punishment according to their sins.This punishment will continue for a time. Then from the prayers of the pious or from “Esaale Sawaab” (good acts performed by people for the dead’s forgiveness) or from prayers for their forgiveness or simply from the Mercy of Allah Ta’ala, this punishment will stop. Then, there will be relaxation. If the dead is a Kaafir, then he will not be able to answer the questions and will say “Haa Haa Ladri” meaning “Shame for I know nothing’”. Now a caller will shout: “He is a liar, lay the table-cloth of fire for him, and give him clothes of fire to wear and open the doors of Hell (Dozakh) for him, from which the heat of Hell will reach him.” There will be two Angels allocated to him to give him punishment and will hit him with great big hammers. Big scorpions and snakes will also bite him. All different kinds of punishment will continue until the Day of Resurrection.